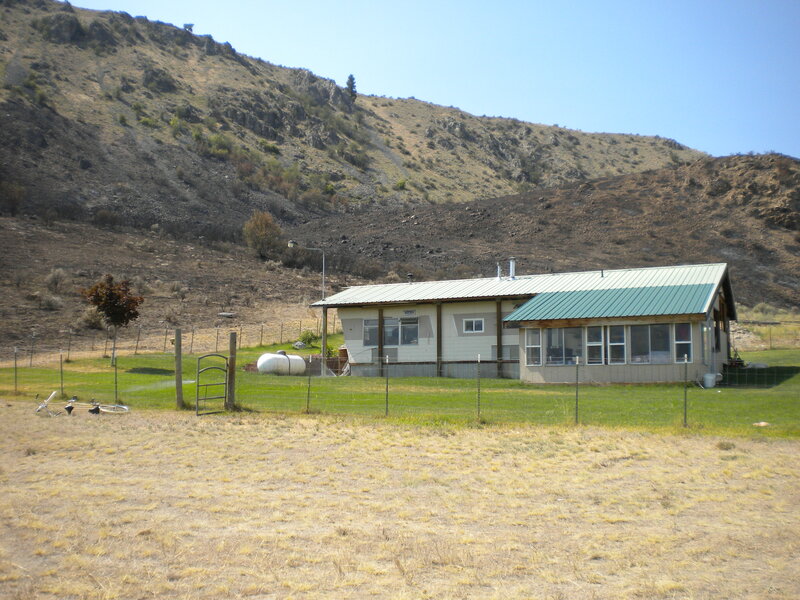 Defensible Space 101 is the first in a ‘how to’ blog series teaching you how to defend your home against wildfire. Defensible Space 102 is now available! Spring is here and that means it’s time for Spring Cleaning. The month of March always seems to bring us interesting weather. But soon you’ll be hearing the sounds of lawn mowers, trimmers, and leaf blowers. Yard work is inevitable and a sure sign that spring has arrived. Don’t let spring’s scattered storms and showers fool you, wildfire season officially begins April 15. As you get ready to tame your overgrown yard this spring, take a look at your plants. Do you notice all the green foliage around your property? All of that green undergrowth will dry out in the hot summer months, turning into fuel that can put your property at risk of wildfire. Spring cleaning can be overwhelming, and it’s easy to let a project like creating defensible space against wildfires around your home slip until summer. Today, we’re starting with the basics. What can you do this weekend to protect your home, even if you only have one hour? Several steps are recommended to protect your home from wildfire. Here are a few first steps you can do today, even if you only have a little free time to clean, to help protect your home from wildfire. Clean up the brush: Reducing brush appears to be the most important factor for success. You want to have a zone with at least 30 feet of space immediately around your home that is free from ignition hazards presented by vegetation and combustible construction. This not only helps protect your home, but also gives firefighters a safer place to fight the fire. Rake the leaves: Leaf accumulation provides fuel for wildland fires. Mow the lawn: The grass around the house can tend to grow tall and unruly during the wet winter months. These grasses dry out and provide a path for the fire that can lead directly to your house. Clean the gutters and the roof: Make sure you remove all dead leaves and pine needles from your gutters, roof, and from around your home. This debris left from the winter weather is highly combustible and is like a fire starter for your home. Clean under the deck: Keep the surface and area beneath decks and porches free of debris and leaves. Stack firewood away from the house: Many people make the mistake of keeping firewood stacked close to the house for easy access. If a spark lands in your wood pile it could ignite your house. Make sure you stack wood at least 30 feet away from structures to help protect them from wildfire. Trim trees and brush back from structures: Remove all dead or overhanging branches. During the windy conditions that exist during a wildland fire, flames, sparks, and firebrands could travel from your trees to the roof of your home. Limb trees up to 10 feet from the ground: Limbing your trees up will help reduce the chances that a fire on the ground will spread into tree tops – this is especially important if your property has lots of trees. Dispose of cuttings and debris properly: Dispose of your yard waste properly, and make sure you don’t leave it piled near the house in the back yard. That defeats the purpose of all the work you did! Think you don’t need defensible space because you don’t live in “wildland?” Remember, with the right conditions (a dry, hot, windy day) and an ignition source (a spark from a vehicle, machinery, or a carelessly tossed cigarette), your home could be in fire’s path faster than you might imagine. Making the effort to reduce your home’s vulnerability to wildfire today could really pay off if disaster strikes. 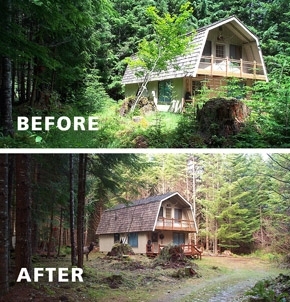 Take a look at the defensible space photos on DNR’s Flickr page to see homes saved from wildfire, thanks to Firewise techniques of landscape management. Ready for the next step? View our second installment of this ‘how to’ blog series: Defensible Space 102: Creating fire-resistant landscaping.